Just call it a classic case of "what might have been": During an interview with Happy, Sad, Confused podcast, White Collar star Matt Bomer revealed he almost played Superman, in a version of the superhero movie that never came to be. 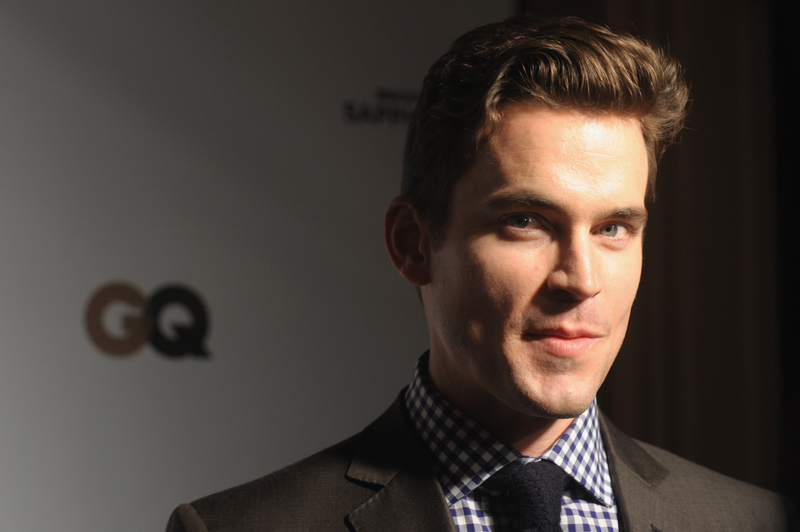 Yes, yes, you read that right: Bomer + Superman = Almost happened. According to Bomer, he was originally supposed to play the Man In Tights way back in 2002, in a film that could have altered the course of DC's cinematic universe entirely.I know what you're thinking, because it's likely the same thing that I'm thinking at this very moment: How could you let this NOT happen, Hollywood?! Sadly, the Bomer-starring Superman film never got off the ground, and after getting trapped in development hell, was eventually scrapped entirely, leading us to Bryan Singer's Superman Returns in 2006, and, eventually, Zack Snyder's Man Of Steel in 2013. Honestly, if I had a time machine, one of the first things I would do would be to go back to 2002 and do whatever it took to help Bomer's Superman take flight. Need I say more? I probably don't need to, but I will anyway. That thick, dark hair and that chiseled jawline would have made for the perfect Kal-El — and who wouldn't want to see the Magic Mike star in Superman's blue spandex tights?! In 2002, Bomer would have been 24 or 25, and the only credits on his resume at that time (based off of his IMDb page) were roles on soap operas. (Specifically, one episode of All My Children and six of Guiding Light.) As The Guardian points out, he was discovered for the Superman role in a cattle call audition, and he made it all the way to the final three, alongside two famous names: Paul Walker, who was four years older and hot off the success of The Fast And The Furious one year prior; and Brendan Fraser, nine years older with star-making roles in George Of The Jungle, Gods And Monsters, and The Mummy already under his belt. In the face of enormous odds, then-unknown Bomer was hand-picked for the role by the director himself (more on him in a moment), and I can't help but wonder what kind of effect it might have had if such an iconic role had been played by an openly gay actor (Bomer came out in 2012). We'll never know. As Bomer stated in the podcast, Adams — who played Superman's love interest in 2013's Man Of Steel — was actually already slated for the role 11 years earlier in the version of Superman he almost appeared in. Specifically, either she had already been cast in the role, or she was one of the final choices, since Bomer mentions having screen-tested with her in the podcast. Having never appeared onscreen together it's hard to tell for sure, but I would bet my bottom dollar that Bomer and Adams would have crazy chemistry... especially given that she's literally a Disney princess (Enchanted's Giselle) and that he's basically a Disney prince incarnate. At the time, Adams was similarly untested. According to her IMDb, she'd made her feature film debut three years prior in the cult comedy Drop Dead Gorgeous, and her only two other credits in the meantime were Psycho Beach Party and the direct-to-video Cruel Intentions 2. But clearly the casting director was great at spotting talented actors whose careers were about to explode. But why did Adams get another chance to play the same role over a decade later, when the same courtesy wasn't extended to Bomer? Unfair. Someone needs to make up for this by casting them in a movie together ASAP. That's right: According to Bomer, Abrams was also attached to the project. In 2002, the writer/director's Felicity had just wrapped its fourth and final season, his Alias was one year into its run, and Lost was but a twinkle in his eye. (It would premiere on ABC in 2004.) He also had a few feature film screenwriting credits on his resumé, including Armageddon and the 2001 horror film Joy Ride, starring none other than Superman runner-up Paul Walker. It's interesting to know that Abrams' flirtation with big-budget sci-fi film franchise started even earlier than anyone knew: four years before Mission: Impossible III, seven years before Star Trek, and 13 years before Star Wars: The Force Awakens. Okay, so this one's not the most exciting aspect Bomer revealed of the failed project, to be sure. But to be fair, Ratner has had his fair share of successes, including Rush Hour, the Silence Of The Lambs prequel Red Dragon, and the acclaimed pilot episode of FOX's Prison Break. Of course, without seeing it, it's hard to know which way the winds would have blown on this project. But with such a capable screenwriter and such a talented cast, it's not unreasonable to assume that this Superman film would have turned out to have been one of Ratner's better movies. It's clear that Abrams' take on the character would have been the perfect fusion of the writer's sensibilities, cribbing from his experience on both the popular college dramedy Felicity and the action-packed sci-fi mystery show Alias. This Superman movie could have been the perfect storm of the best elements of both those series... or it could have been a disastrous mishmash of tones. It's hard to say, but I'm inclined towards the former. Bomer also revealed that Abrams' Superman script would have been a more "lighthearted" take on the character. While that probably wouldn't have seemed wildly controversial in 2002, it would make for a refreshing change of pace these days. Ever since Christopher Nolan started his Dark Knight trilogy in 2005, Warner Bros. has seemed to become focused on making their films "darker" and "grittier" than ever. Man Of Steel was about the bleakest take on Big Blue imaginable — and Batman V. Superman: Dawn Of Justice appears to be continuing that trend. If Abrams' more playful film had been a success, though, what would have become of this trend? If you want a taste of what a Bomer-starring Superman movie might have looked like, you're in luck: the Normal Heart star was dealt a minor mea culpa two years ago when he got the opportunity to voice the character in a very Age Of Ultron-esque direct-to-video animated film titled Superman: Unbound . The surprisingly awesome voice cast also included Castle's Stana Katic as Lois Lane, Fringe's John Noble as the villainous Brainiac, and Six Feet Under's Frances Conroy as Martha Kent.